The Swiss registry listed 116 652 persons at the end of 2017. Over half of them are under the age of 35. The donor follow-up period, which used to be open-ended, was limited to ten years as part of the amendment of the transplantation regulation, because the donation of blood stem cells is now seen as posing no health risks. A total of 13 863 people signed up as newly registered blood stem cell donors in 2017. The dramatic increases of recent years (2016: 25 614 new registrations) have thus levelled off somewhat. Nonetheless, with a total of 116 652 people registered at the year’s end, the registry did grow by 12.4 per cent (2016: 103 822 people). A total of 1038 donors were removed from the registry, primarily due to age (2016: 768). Online registrations made up a total of 62.1 per cent of all new registrations. They had accounted for 72.3 per cent of the total in 2016, a year in which several different patients appealed for people to register via online channels. Online registrations are very welcome. They simplify the administrative procedures and help reduce costs. Moreover, international data shows that online registrations are associated with higher levels of availability. The moderate growth in Switzerland echoes the trend in other countries. While in the early days, establishing and building up the registries took priority, with the result that nearly 31 million blood stem cell donors were registered by the end of 2016, the focus is now shifting to the demographic make-up of registries. There is now a preference for younger donors for unrelated donor transplantation, because they offer clinical advantages for patients. Donor ages in the Swiss registry are shifting accordingly: 50 per cent of the people registered are now under the age of 35. The average age has decreased by three years since 2012, from 39.5 to 36.7 in 2017. A total of 36 per cent of registered donors are men and 64 per cent are women. In 2017, Swiss Transfusion SRC carefully considered whether its future emphasis should be on quantitative or a more specific growth of the register in view of this situation. The organisation reviewed its recruitment strategy, drawing on the findings of external experts in Switzerland and abroad. In this context, it set itself the aim of continuing to provide the best donations for patients in the future, while at the same time ensuring the financially sustainable management of the registry. The organisation will decide on a definitive strategy in 2018 and begin its gradual implementation in 2019. If new donors are to be registered at all, the population has to be made aware of the need in the first place. The focus in 2017 was on young people. May marked the beginning of a one-year campaign in the recruitment centres of the Swiss Armed Forces, in the context of which around 40 000 young men received information about blood stem cell donation. The Swiss Federal Office of Public Health provided financial support for the campaign, with the Military Medical Service acting as the campaign partner at the centres. New teaching material on the topic of blood is aimed at an even younger age group, i.e. people aged about 15-18. The material is designed for use in upper secondary schools, and a big part of it is devoted to blood stem cell donation. 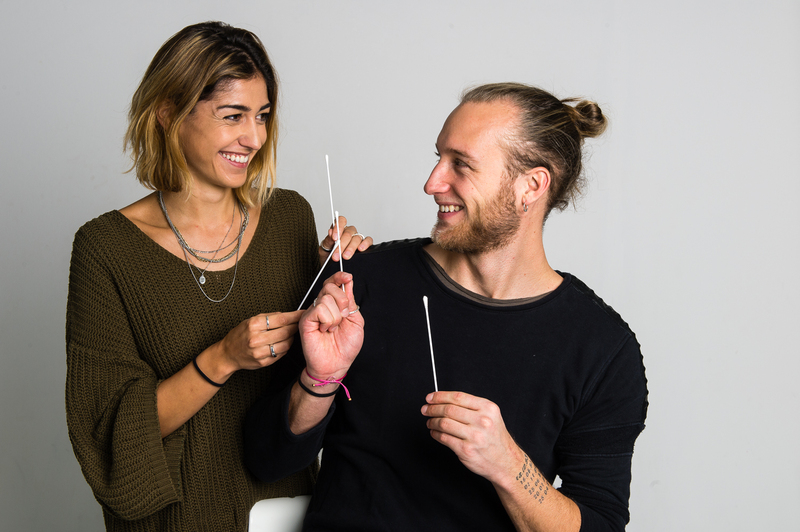 In the student association Marrow, Swiss Transfusion SRC has a partner who can make a credible case for concerns relating to blood stem cell donation among people in the same age group. 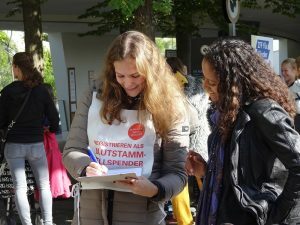 Once again in 2016, Marrow carried out numerous awareness-raising and registration drives at universities all over Switzerland and organised sponsored runs benefiting blood stem cell donations in Basel and Zurich. In the autumn, Swiss Transfusion SRC added Instagram to its online communication portfolio. Instagram enables the organisation to target 18-30-year olds and take advantage of the reach of influencers who are very important for this demographic. Facebook, which rates highly with the over-thirty demographic, remains a key media however. As of the end of 2017, Swiss Transfusion SRC counted almost 7000 followers, who feel a strong connection with blood stem cell donation and can be mobilised very effectively for appeals on behalf of patients and as ambassadors. At the end of 2017, there were 4667 units of cord blood stored in the public cord blood banks in Basel and Geneva, compared to 4598 the previous year. This is an increase of 69 units. This allows the cord blood banks to retain the expertise enabling them to make cord blood units available to patients worldwide as need arises. A new development is Swiss Transfusion SRC’s involvement in a pilot project related to hybrid banking. This is intended to offer mothers the option of “hybrid banking” in addition to those of public or private banking. With hybrid banking, the cord blood is deposited privately, but the HLA typing results are provided to the public donor registries at that time. The provision of information to the wider public remains just as important, with a view to fundraising activities, for instance. In past years, information has been disseminated through a presence in specialist and popular media and through public events such as the national Day of the Deed (“Tag der Tat”). The latter was held for the fourth time in 2017, with record participation numbers and coinciding with World Marrow Donor Day for the first time. 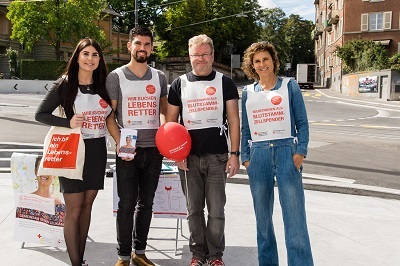 On 16th September, over 130 groups, including Samaritan associations, fire brigades and patient associations, set up stands at which they informed the public about blood stem cell donation in Switzerland and the Principality of Liechtenstein. There were around 1,200 new registrations in the weeks leading up to and following the Day of the Deed. Public appeals from patients generally meet with a very big response. In 2017, only one such appeal was launched. 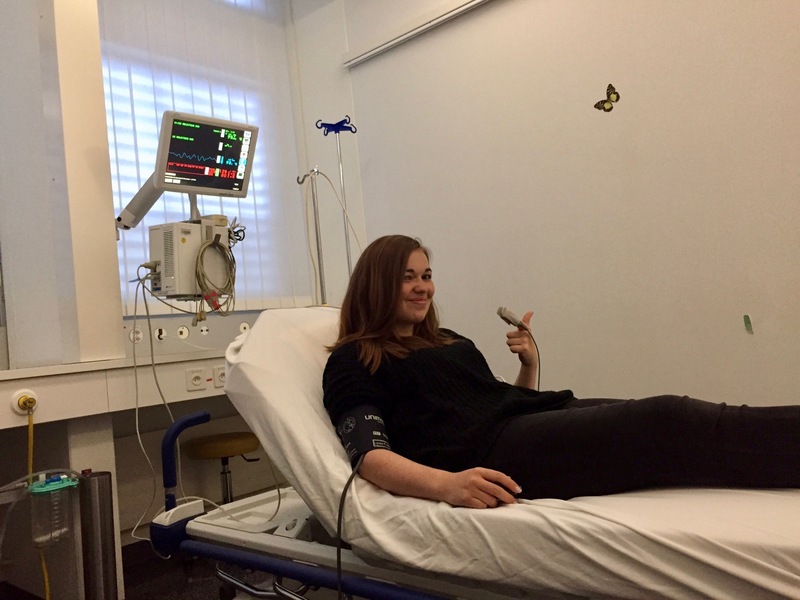 In one of the first joint, cross-border drives by Swiss Transfusion SRC and the German DKMS (Deutsche Knochenmarkspende), blood stem cell donors were sought for an 18-year old woman from Constance who is suffering from leukemia and others. Over 2300 persons registered themselves at the site, 350 of them in the Swiss registry. Once people have decided to register as blood stem cell donors, they fill in a questionnaire about their health. A medical professional assesses their responses and decides whether to enter the individual in the registry on the basis of a list of criteria. This list has been comprehensively revised over the past three years, as has the list of criteria used at the time of confirmatory typing and the medical check-up before donation. The new, far more detailed list of criteria has been in place since the autumn of 2017, making efficient and consistent assessment possible. The probability that a registered blood stem cell donor will actually be requested to make a donation is very low. Moreover, if a request does come in, it may not do so until a great deal of time has passed. This makes it even more important to maintain regular contacts with registered donors, to update address data, for instance. 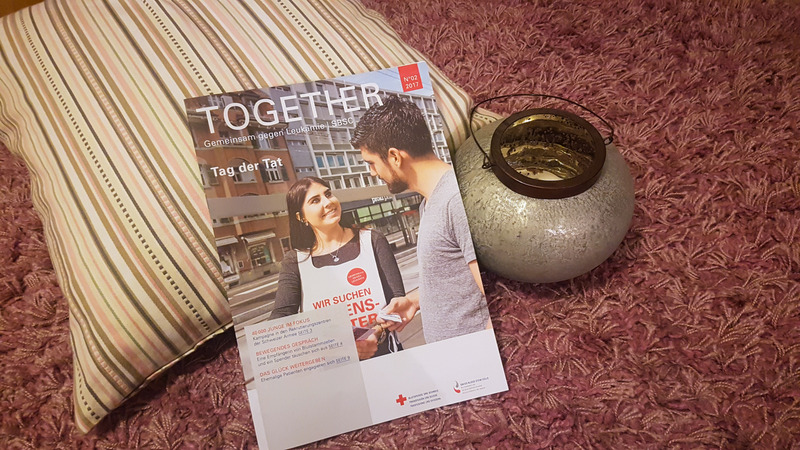 Therefore, twice each year, registered donors receive the magazine «Together» in the post, which keeps them up to date about blood stem cell donation. The availability indicator provides information about whether registered donors really are willing to donate when a request comes in. In 2017, overall availability was 69.4 per cent, which is in line with the international average. It is lower than the 2016 figure though (74.8 per cent). This is primarily due to an increase in the number of persons who were unavailable for medical reasons. About half of these cases involved pregnancies or ineligibility periods after travel abroad. Swiss Transfusion SRC follows up with all unrelated donors in Switzerland after their donations to ascertain whether the donation has effects on their health and if so, what these are; since 2016, the organisation does this for all related donors of blood stem cells as well, on a mandate from the Federal Office of Public Health. The response rate for the questionnaires received by each donor is very high. This testifies to well-informed and aware donors who trust Swiss Transfusion SRC. No serious consequences have been observed in Switzerland since the early days of blood stem cell donation 25 years ago. Numerous studies have shown that blood stem cell donation is safe. For this reason, the donor follow-up period, which used to be open-ended, was limited to ten years in 2017 as part of the amendment of the transplantation regulation. However, meticulous follow-up will remain an essential part of blood stem cell donation in the future.